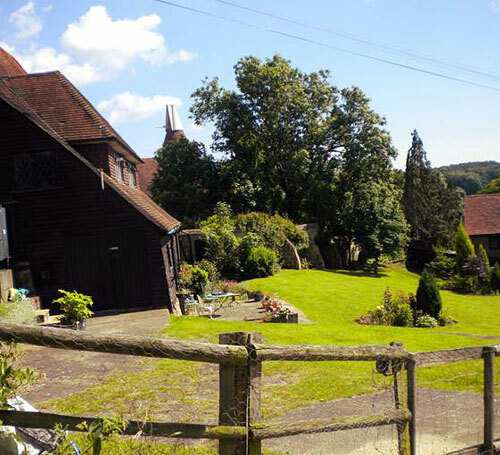 The Barn Flat has far reaching views towards Ashdown Forest and is in a magnificent old tithe barn. It has three bedrooms one of which has an ensuite shower room, a spacious living/dining room and kitchen and family bathroom. 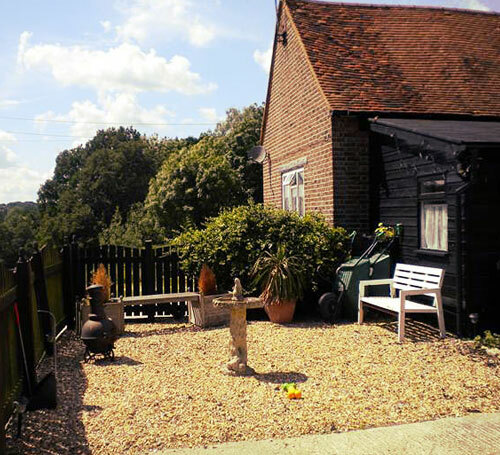 There is a very large amount of storage space, a garden and a garage and a yard for parking. 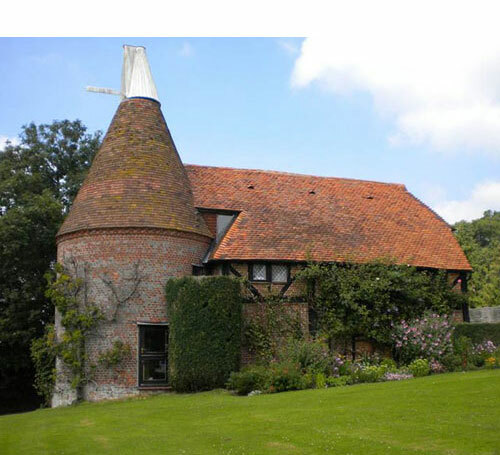 The Oast Flat is situated in a glorious position in the garden of the main house and has lovely views out across pastures and woodland. There are two round double bedrooms, a bathroom and large living room/kitchen. 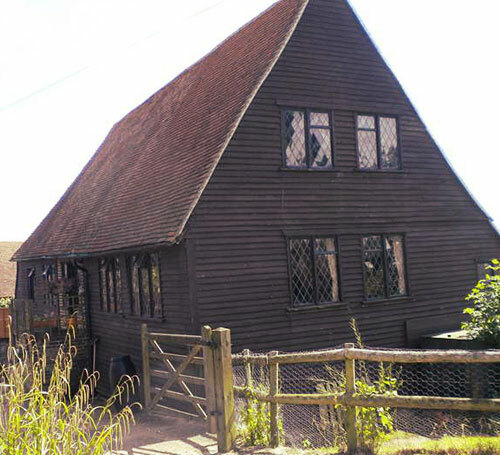 It has its own small garden and a workshop. There is the possibility of sharing a horse in one of the equestrian properties on site or having ones own horse at livery and the dog walking opportunities are endless. Stable Cottage forms part of a charming courtyard with its own stables making up the other sides of the yard. It has two double bedrooms, a kitchen/living room and bathroom. Hovering over the gallery stops the slideshow. To start it again, move your mouse off the image gallery.